If your number one goal when buying a mattress is to get a pocket-friendly one that will guarantee you get a good night’s rest, you may need to do a search. Many factors define a good mattress. First analyze if you have night sweats, sleep apnea, or lower back pain. Issues like these should guide you into buying a mattress after considering its firmness, adjustability of the feet and the head, innerspring, and form among other factors. It is also recommended that you only deal with a reputable supplier of high-quality mattresses. Here is a comprehensive guide on how to pick out the best of Orange County mattress. The density of the mattress that you buy influences its weight and solidity. What are your preference – more solid and heavier mattress or foam and lightweight? Then you will need to look for a mattress with density to match your needs. Usually, high-density mattresses are heavier and more solid compared to low-density ones as these tend to have an airy feeling and are much lighter. Usually, the density of the mattress that you buy will dictate its price and durability. Denser mattresses are quite durable but more expensive. Foam or memory foam is growing in popularity as it conforms to your body more, durable, solid, yet cooler and lightweight. 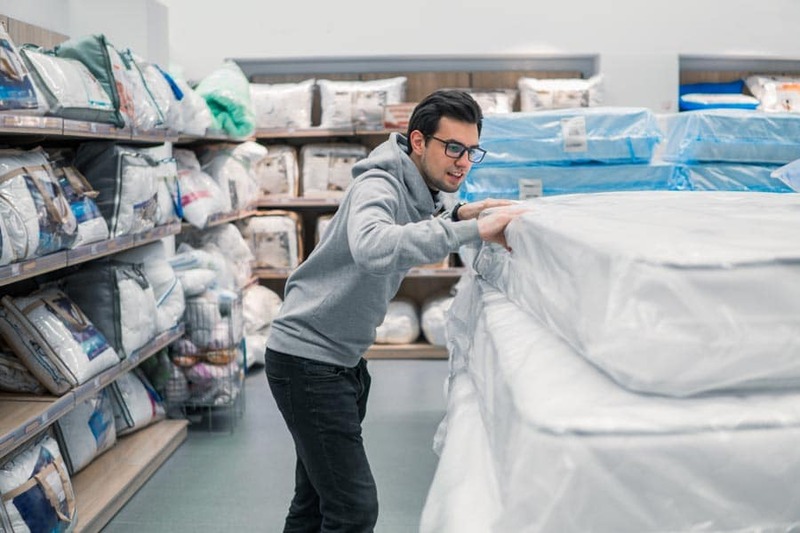 One of the mistakes that many buyers of mattresses make is to focus on getting an affordable mattress as opposed to buying a high-quality one. In most cases, putting a price as your primary consideration when buying a mattress makes the whole process quite complex. Many brands of mattresses are available in the market now that it seems impossible to compare the price of each one of them. You can be assured of buying the best mattress in Orange County if you focus on the quality of the mattress and materials used in making the mattress is what will guide you to getting the best one for you. You will find mattresses of different sizes in various furniture stores in Anaheim –in terms of length and width. It is advisable that the mattress you get be longer than your height for more comfort. The width of the mattress should give enough room for anyone to move around the bed comfortably. Additionally, the number of people who will use the mattress dictates the size of the mattress –King or Queen size is ideal if two people will be sleeping on the mattress. The brand of mattress that you buy matters a lot due to differences in quality, pricing, level of comfort, and durability. Some mattress brands are expensive while others are cheaper. Before buying any mattress, take time to research widely on the reputation of the brand in the market –you do not want to buy a mattress from a brand that is known to sell poor quality mattresses that will leave your back aching. In addition, shop around for Orange County discount furniture stores that are known for the best brands of mattresses. You can also ask for recommendations and referrals from friends and family members. Did you know that you can test your mattress before buying it? The best method to do this is to lie down on the mattress in different positions to evaluate how you feel. Make sure that you are lying in your normal sleeping position –be it on your side, back, or your stomach –and wiggle around to various positions before you go ahead to buy the mattress. Perhaps you are wondering how lying on the mattress can help you pick the best mattress? The primary goal of choosing the best mattress is to establish areas you are pressured and need to adjust. Whether it is on the hips, the back, or the stomach, you need a mattress that does not pressure you so much such that you do not get a comfortable night’s sleep. Picking out the best mattress that aligns with your specific needs, tastes and preference can be quite challenging. However, with much focus on the mattress density, size, brand, and quality, you can land the ideal type of mattress that works for you. Therefore, the next time you visit any of the mattress stores Anaheim, ensure that you emphasize on choosing your mattress based its quality and not just the price.